OLIVIA VALERE Opening on the 2nd of April 23. This weekend the Spring Season starts for the Olivia Valere Team, and therefore we have 2 parties ready for you which are not to miss! 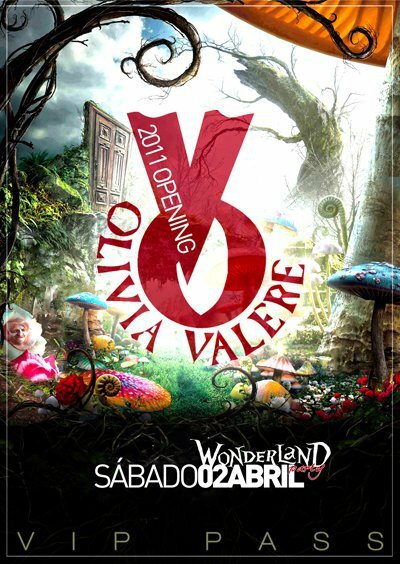 ● Saturday 2nd April: "OLIVIA VALERE Disco OPENING 2011"
The best scenario in the Costa del Sol opens its doors again so that we can start enjoying again of the very best parties and the very best crowd & atmosphere! We will be expecting and waiting for you with the best WONDERLAND party! * Complimentary drink to all ladies!